Manchester United boss Ole Gunnar Solskjaer is understood to want PSV's Hirving Lozano as his first summer signing, should the club appoint him as the permanent head coach. The Mexico international has been in impressive form for PSV once more this term and he has already amassed 17 goals and seven assists for the club across all competitions. According to CalcioNapoli24, Ole is already his shortlist of targets for the summer with the anticipation that he will be appointed as the permanent manager of United. 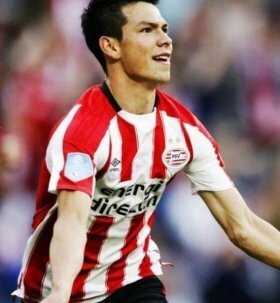 It is added that Lozano has been identified as the prime choice to bolster the attack front and United would require a minimum fee of around £35m to convince PSV into a summer sale. Meanwhile, the potential arrival of Lozano would trigger the departure of at least one attacker and Alexis Sanchez has been highlighted as the leading candidate, who could be offloaded in the summer. The Chile international has failed to settle since his move from Arsenal 14 months ago and it is indicated that Ole has been given the green light to sanction his sale for around £20m.